1) When did George III become the king of UK? 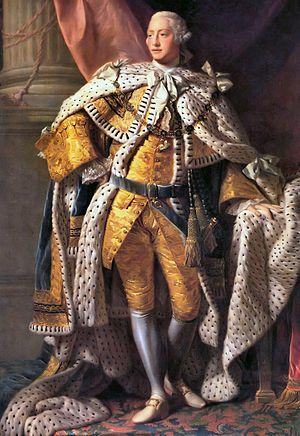 2) To which dynasty George III belong? 3) Who persuaded George III to end his relationship with Sarah Lennox and marry Charlotte of Mecklenberg-Strelitz? 4) How many children did George III have? 5) Which revolution took place during the time of George III? 6) Which academy was founded by George III in 1768? 7) Who wanted full civil rights for Roman Catholics and was forced to resign by George III in 1801? 8) Which Act was passed at the insistence of George III? 9) Which important event took place on 4 July 1776? 10) Which title was given up by George III in 1801?